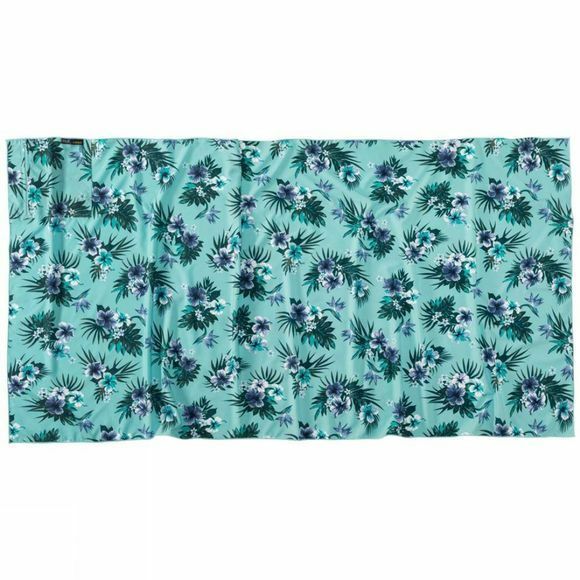 Go wild this summer with the Tropical Scarf Blanket! Adorned with a vibrant tropical pattern, this multifunctional headgear offers a UV protection factor of 40+. It can be worn as a headscarf, neck gaiter, headband or hair band, as the mood takes you, and protects you from the sun and the wind. It is made of a very light, stretchy fabric with outstanding moisture management properties–an attribute you will appreciate when the pace hots up. The TROPICAL SCARF BLANKET stows neatly in its own little pack bag so you can stash it in your pack or your jacket pocket until you need it.